Mark your calendars! 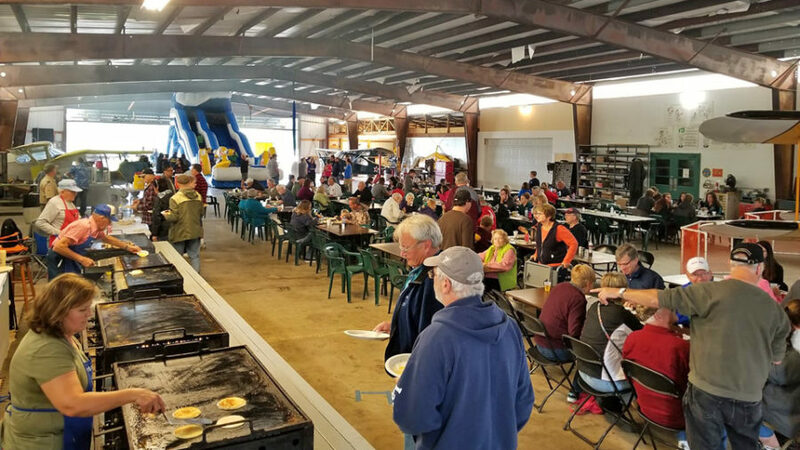 The 2019 Fall Fly-In Breakfast will be held on Sunday September 29th from 7am-Noon! This event is a tradition at the Pine Hill Airport dating back more than 50 years. It is one of only 2 fundraisers the Vintage Aircraft Group does every year in order to raise money for the ongoing operational costs of the Pine Hill Airport. Please come out and show your support! Members of the Vintage Aircraft Group, the Pine Hill Raiders RC flying club, and WNYSkydiving work together to host this traditional community event! We love welcoming the community onto the airport to enjoy a pancake breakfast and to experience first hand our love of aviation! This is a perfect event for children and families! Our Fly-In Breakfast is ALL YOU CAN EAT! Breakfast will include pancakes, sausage, eggs, and applesauce. Beverage options will include coffee, tea, apple juice, pink lemonade, and water.